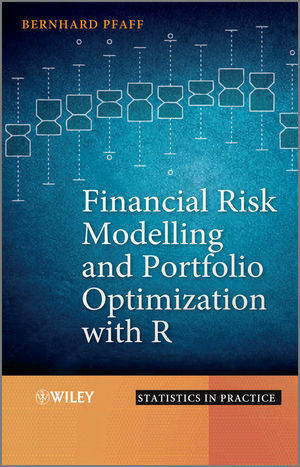 Introduces the latest techniques advocated for measuring financial market risk and portfolio optimization, and provides a plethora of R code examples that enable the reader to replicate the results featured throughout the book. Demonstrates techniques in modelling financial risks and applying portfolio optimization techniques as well as recent advances in the field. Introduces stylized facts, loss function and risk measures, conditional and unconditional modelling of risk; extreme value theory, generalized hyperbolic distribution, volatility modelling and concepts for capturing dependencies. Explores portfolio risk concepts and optimization with risk constraints. Enables the reader to replicate the results in the book using R code. Is accompanied by a supporting website featuring examples and case studies in R.
Graduate and postgraduate students in finance, economics, risk management as well as practitioners in finance and portfolio optimization will find this book beneficial. It also serves well as an accompanying text in computer-lab classes and is therefore suitable for self-study. Bernhard Eugen Heinrich Pfaff, Director, Invesco Asset Management Deutschland GmbH, Germany.